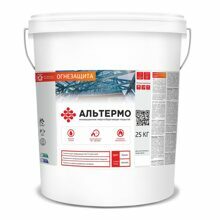 About the factory cast composite material (CCM) Limited Liability Company nongovernmental organization "Altermo". 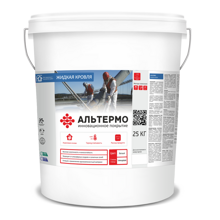 Factory cast composite material Limited Liability Company nongovernmental organization "Altermo" - company that works in the market of energy-saving coatings since 2011. 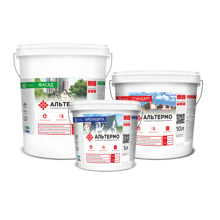 The main specialization is the development, production and implementation of innovative energy-saving, waterproofing and flame retardant materials under the trade mark ALTERMO (Alterm®). Peculiarities of activity: on the basis of our industrial enterprise, laboratory research is constantly conducted, innovative paint and varnish materials are being developed and manufactured using advanced technologies and innovations in the chemical industry. The specialists of the company constantly master new technologies, methods of work, conduct laboratory investigations in their own production laboratory with subsequent introduction of developments in the production process. Develop new products, modernize existing ones in order to improve their strength and other characteristics. Each employee in his place, in the company staff there are technical, marketing specialists, employees of the supply department, etc. In the production of the entire product line, raw materials are used from trusted suppliers, with whom the company has been working for several years. At each stage of production, quality control of finished products is carried out, comparative measurements and analyzes are made. Managers of the company quickly get in touch if you have any questions about the activities and products plant cast composite material Limited Liability Company nongovernmental organization "Altermo" there are business proposals for the wholesale purchase of materials, delivery to the regions - leave your contacts or call the phones indicated in the contacts. 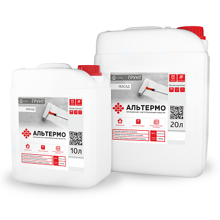 Factory cast composite material Limited Liability Company nongovernmental organization "Altermo" was founded in 2011. On the basis of our enterprise, the development and production of innovative paint and varnish materials are being carried out using advanced achievements in the chemical industry.